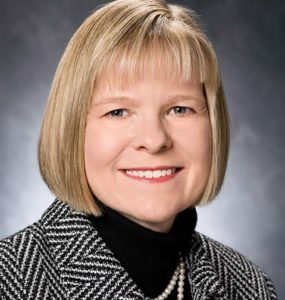 Lori J. Duke, assistant dean for Experience Programs and interim lead for curricular affairs in the College of Pharmacy, is president-elect of the Accreditation Council for Pharmacy Education. Duke has held numerous leadership positions in the American Association of Colleges of Pharmacy, including completion of the Academic Leadership Fellow Program. AACP appointed her to the ACPE board, and she previously has served as the ­organization’s vice president and board liaison to the ­International Commission and the CPE ­Commission. ACPE is the national agency for the accreditation of professional degree programs in pharmacy and providers of continuing pharmacy education. In collaboration with the American Society of Health-System Pharmacists, ACPE also accredits pharmacy technician education and training programs, and offers evaluation and certification of professional degree programs internationally.